There are approximately 60,000 thatched properties in the UK, of which 50-80 suffer a serious fire each year, most of which are completely destroyed. 90% of the homes struck by thatch fire have a combination of a wood burning stove either a flexible chimney liner or no liner at all. Chimneys should be checked to ensure the brick or stonework is in good condition. Old or poorly maintained chimneys with loose or missing bricks & mortar and not lined, could allow hot gases and smoke to escape into upper rooms, the loft space or directly onto the thatch. 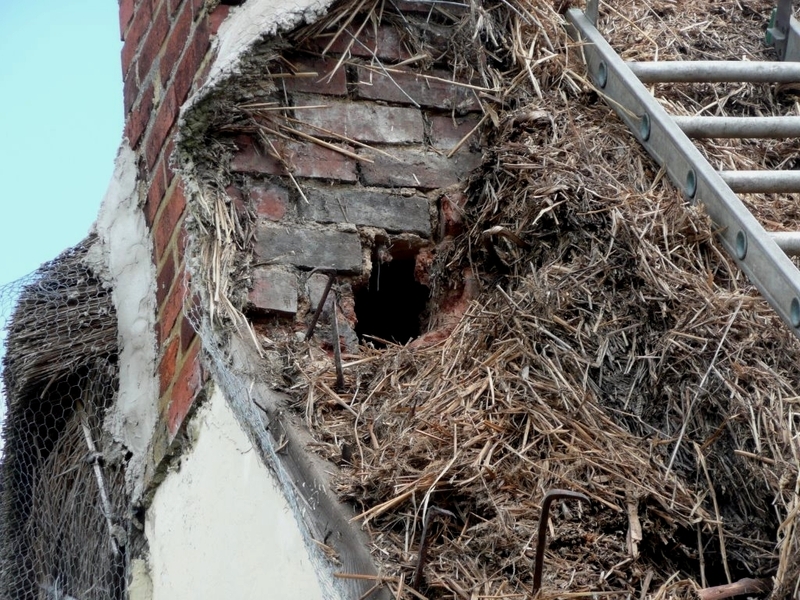 If re-thatching works are taking place and the thatch around the chimney stack is removed, the thatcher will be able to advise on its condition. Ensure chimneys are regularly swept by an experienced and qualified chimney sweep. This normally needs to be done at least twice a year, however if the chimney is used frequently during the winter period then additional sweeping may be required. Your sweep will be able to offer you further advice. Many chimney engineers and other specialist companies offer a CCTV survey, this is recommended to check the internal condition of the flue. Again check with your property insurer because some of them have a list of approved companies. 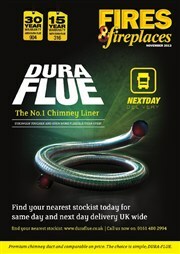 A number of thatch fires occur as a result of old or inappropriate flue liners, therefore chimneys serving either an open fire or multi-fuel appliance should be suitably lined. Contact an appropriate professional body such as HETAS so a registered chimney engineer can review the liner (if already installed) to ensure it is fit for purpose for the type of appliance or fire in use. An engineer will also be able to advise on the condition of the liner and recommend on how often it should be checked. If you are considering installing a wood-burner or similar, again contact HETAS who will advise on the most suitable appliance and liner for the property. The National Society Of Master Thatchers Annual Conference and AGM. It is to held at The Norfolk Arms Hotel, Arundel in West Sussex. The agenda will include discussions on: The Thatch Mark Standard, Chimney safety and Fire barriers and insulation. Rob Norcott, Director of Thatching Advisory Services, recently gave a joint presentation with HETAS to Cheshire Fire and Rescue Service about the importance of fire safety for thatch roofs. The presentation, attended by representatives from Cheshire Fire and Rescue Service and the North West regional office of the NFU Mutual, focussed on the common causes of thatch roof fires and the preventative measures and products available. The attendees were made aware of the issues and contributing factors for thatch fires and the solutions, products and preventative measures available to help reduce the risk in the event of a fire. The presentation included the use of comprehensive Thatch Fire Protection Systems which are a mix of either TAS100 Thatch Fireboards or Thatch Firewall with our non-combustible Thatchbatt® product. Rob was also able to explain how the fire retardant spray ‘Thatchsayf’ works by foaming (intumesce) and forming a carbonised char, which binds the thatch stems together, cutting off the supply of oxygen to the fire, delaying the spread of flame and lowering the radiated heat output. HETAS are the official body recognised by Government to approve biomass and solid fuel domestic heating appliances, fuels and services. Thatching Advisory Services has added an informative new page to its website. HETAS are the official body recognised by Government to approve biomass and solid fuel domestic heating appliances, fuels and services including the registration of competent installers and servicing businesses.